In a couple weeks as we hang up our winter jackets to welcome the warmth of spring, ice that has formed over the Arctic Ocean and Hudson’s Bay will be covering the largest area that it will reach in 2019. This is known as the annual maximum sea ice extent, which occurs at the very end of our winter. Following this, as the sun grows more intense over northern latitudes and temperatures begin to rise, the sea ice will begin its usual 6-month retreat poleward until September, when temperatures reverse – only this process is becoming increasingly unusual. This year the maximum sea ice extent is on track to be one of the smallest since satellite records began 40 years ago, in 1979. On March 4th, the National Snow and Ice Data Center (NSIDC) released the data finding that February 2019 was the 7th lowest February extent ever recorded. For the climate scientists at the NSIDC and elsewhere, this is hardly surprising. The 10 lowest maxima have all occurred since 2005, with the 4 lowest having all occurred in the last 4 years. It has been known for years that contemporary climate change driven by human-generated greenhouse-gas emissions, predominately via the burning of fossil fuels, has been warming the Arctic at a rate 2 to 3 times faster than the global average, leading to sustained sea ice loss. The average projection from dozens of global climate models indicate that we are likely to see an ice-free Arctic summer in some year between 2070-2100. However, the observed melting has proceeded significantly faster than these models have predicted. Not only is less area covered by ice, but what remains is much thinner and younger. Between 1978 and 2012, the volume of multi-year ice declined by over 75% and the oldest and thickest ice, 5 or more years old, declined by 95%. This means that an increasing portion of Arctic waters are only frozen over during winter months, with the ice being much thinner. 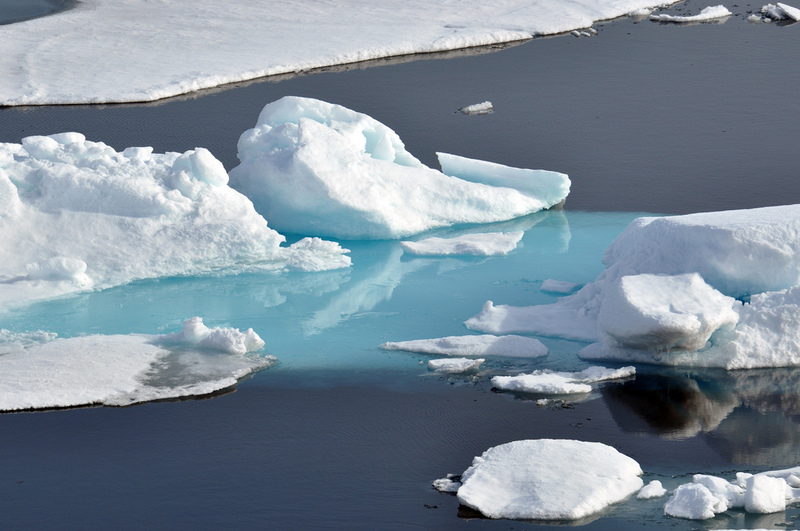 Recent studies aimed at correcting the gap between prediction and observation have found that an ice-free summer is much closer than previously thought – possibly as early as 2028, and by 2050 with very high confidence. We are likely only a couple decades away from having open ocean over the North Pole for the first summer in at least 44 000 years. So what? It is hardly an unpopular opinion that cold and icy winters are a downer anyways. Yet in the next 30 years the Arctic system will change fundamentally, with far-reaching environmental and human impacts. The ice caps are crucial for maintaining the stability of ecosystems, human societies, and our global climate patterns. The loss of sea ice is already impacting delicate Arctic ecosystems as many species are increasingly threatened with extinction. While narwhals and polar bears are the popular face of endangered wildlife, unseen zooplankton that form the basis of the Arctic food web are under threat due to decreasing ice, the bottom of which provides habitat for their food source: algae. Thus, the disruption of algae growth has implications for nearly every creature in the region, especially fish and whales. Furthermore, these environmental changes are straining the ability for native communities to practice their traditional way of life. For example, populations of caribou that native communities rely on for hunting are becoming isolated as the ice they traverse to reach other areas disappears. Risk of starvation rises as rain falls instead of snow, which freezes and forms a barrier over the plants they depend on for food. The thawing also poses physical challenges: many communities are built on permafrost (land that is consistently frozen solid year to year) and when it melts the ground turns from solid to muddy, destroying roads and damaging buildings. However, it is not only scientists who are interested in the Arctic. 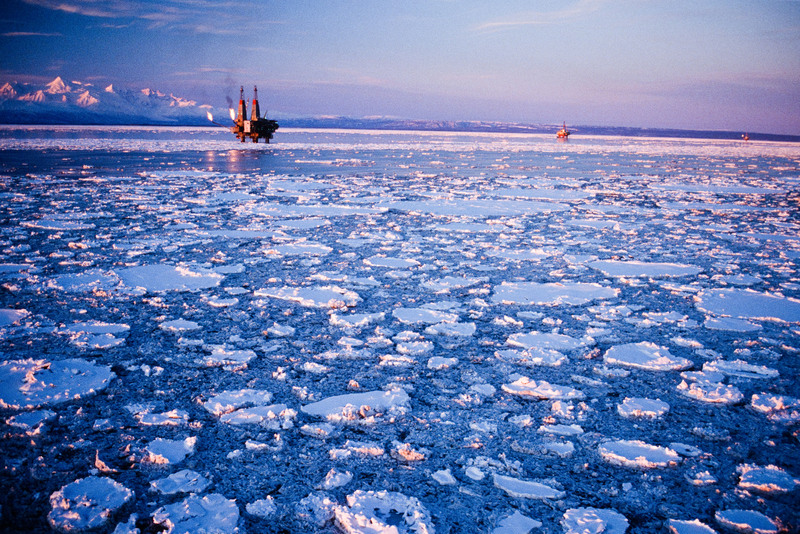 World powers and global markets have their eyes on the region as the combination of less and thinner ice cover is opening up opportunity for new seasonally viable shipping routes and increasingly accessible fossil fuel and mineral extraction. This places Canada in a precarious position where rapid environmental and ecological changes collide with geopolitical and economic forces. Effectively, a new ocean covering an area about the size of South America will open up to potential human activity. This is unprecedented in our modern world. The last time a comparably large part of the globe was made available to exploration and exploitation was during the Age of Discovery some 400 years ago. Therefore, one of Canada’s most pressing concerns is the recent growth in international shipping routes through the Arctic. Canada has sovereignty over their internal waters and control over resources within the Exclusive Economic Zone (EEZ), which extends 370km offshore, as stipulated in the United Nations Convention on the Law of the Sea. Conflict arises due to the fact that Canada considers the waters surrounding the Arctic Archipelago, which make up a large part of the Northwest Passage, to be internal waters under their jurisdiction while the United States and other nations, like Russia, claim these to be international waters. Internal waters mean Canada could control shipping traffic passing through this section of the Northwest Passage with environmental regulations, fees, and safety standards, among other measures. However, international water classifies the Passage as an international strait, which means ships have the right of passage and must adhere to less-stringent global regulations. Thus, other nations believe Canada is violating international maritime law. As the ice covers less area and becomes thinner, it is easier for freighters to navigate without ice-breaker escorts. Ships completing the Shanghai-New York route could shorten their voyage by a week by passing through the Northwest Passage, as a Chinese research ship did two years ago. In August 2018, Maersk, the world’s largest freight carrier, launched its first ship on an Arctic route – at least 10 years earlier than company expectations. Given the remoteness of the area, it is hard for Canada to maintain a presence and enforce the stance that the Archipelago are internal waters. It also makes it more difficult to detect the breaching of regulations, and extremely challenging to coordinate clean-up efforts in the event of a disaster, exemplified by the notorious Exxon Valdez oil spill off the coast of Alaska in 1989. 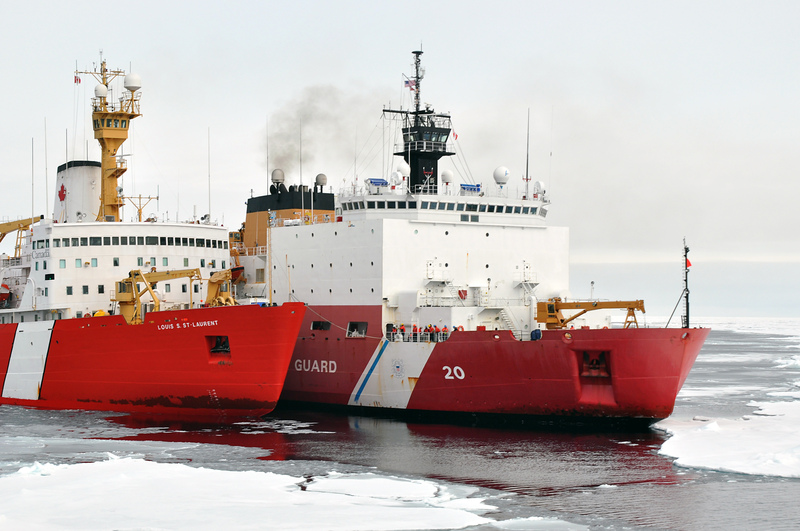 The interest in Arctic shipping is not only fueled by the desire to reduce transit time. The fact that the Arctic has large offshore oil and gas fields encompassing nearly a quarter of the world’s reserves, is drawing attention. Although Prime Minister Trudeau and President Obama crafted a joint Arctic policy in 2016 that made all Canadian Arctic waters and a majority of American waters “indefinitely off limits to future offshore Arctic oil and gas licensing,” it is up for review every 5 years and has recently come under pressure from President Trump as part of an apparent widespread removal of environmental regulations. In addition, not all of the reserves are within the Canadian or American EEZs; many are in Russian waters, attracting additional attention from China. In October 2018, a Russian gas firm discovered another large deposit in the Gulf of Ob, with plans to ship the liquid natural gas to Asian markets as part of Russia’s fossil-fuel driven approach to growth. The synergy generated between a growing energy demand, global economic competition, and the Arctic becoming more hospitable to human activity as ice retreats, is likely to propel such shipping and fossil fuel developments. The trajectory of events around the North Pole may be uncertain but with market forces and geopolitical strategy at play, one can be sure that national and corporate agendas will show increasing attention to the frozen frontier. “William Fajzel is a U3 student currently pursuing a degree in Economics with a double minor in Earth System Science and Environment. He specializes in the environmental and economic issues surrounding climate change, as well as sustainability and globalization. While not working, William can be found outdoors enjoying sports and Canada's awesome nature - especially during the winter!